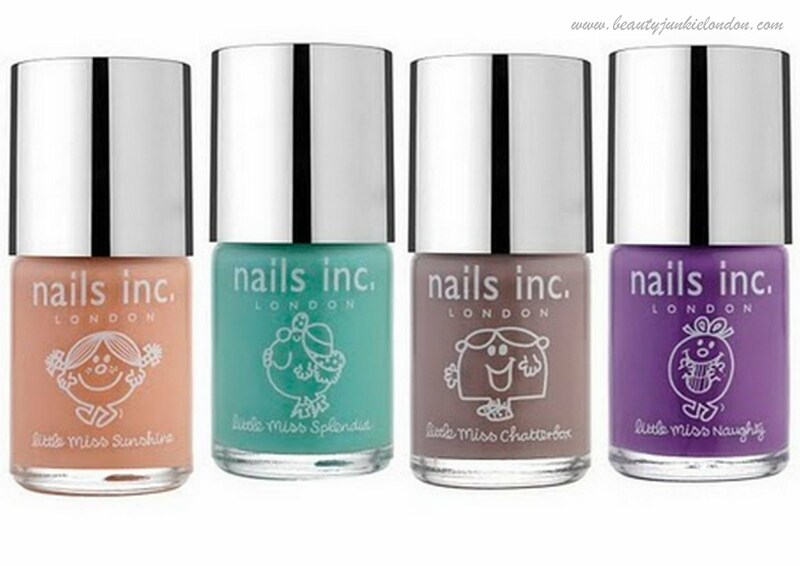 The Nails Inc/Little Miss collection of nail colours is now available, for £12 each. I blogged about them when I first heard they were coming out as I loved the look of the colours as soon as I saw them! Now I have a little swatch of the gorgeous creamy purple that is ‘Little Miss Naughty’. Here are the four colours all together again.. which Little Miss are you?? All four are available from the Nails Inc website £12 each.